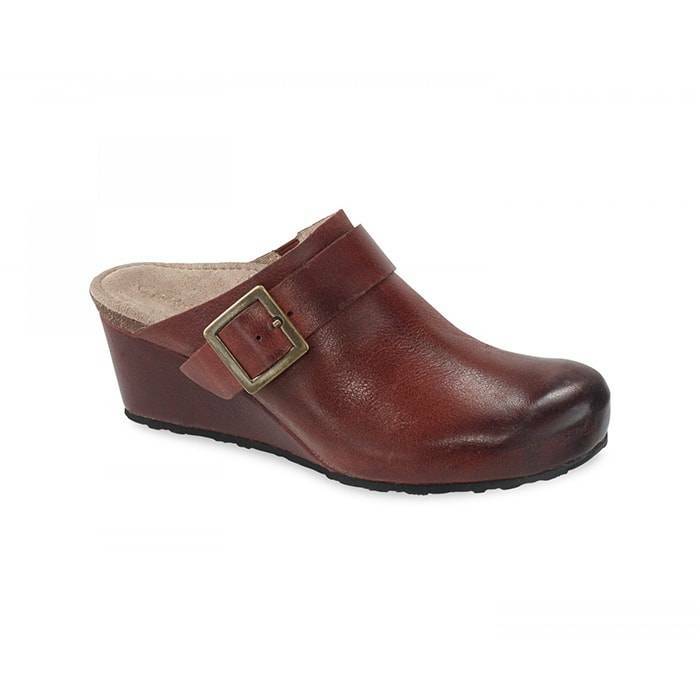 The Aetrex Amelia Merlot is a traditional cork wedge that slides on with ease. With a 2 1/4″ leather wrapped heel and an ornate side buckle that gives the shoe a modern edge. This shoe features a built in Lynco® footbed.